Former Chief Executive Officer (CEO) of the Ghana Exports Promotion Authority, Madam Gifty Kekeli Klenam, has kicked against government’s decision to reduce import tariffs insisting that the move will collapse Ghanaian businesses. Vice-president, Dr. Mahamudu Bawumia at an economic management team town hall meeting on Wednesday, April 3, 2019, assured that the government is slashing import tariffs by 50% beginning Thursday, April 4, 2019. According to the outspoken VEEP, not only is government reducing imports tariffs, but they are also reducing the import value of vehicles by 30%. “To reduce the incidence of smuggling and enhance revenue, the benchmark delivery values of import will be reduced by 50%. However for vehicles, the reduction will be 30 percent”, Dr. Bawumia said. Whiles the news has attracted applause from many businessmen particularly those into imports, it appears the decision from the government is going to have an adverse effect of local businesses who are into manufacturing. 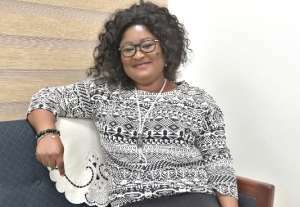 Speaking to Joy FM following the announcement by Vice-President Bawumia on Wednesday, Madam Gifty Klenam stressed that the move is rather going to bring down manufacturing companies in the country. According to her, the manufacturing companies creating jobs for the people of this country should have been the ones to benefit from the tax reduction.